Strategic collaboration with local organizations and entrepreneurs to develop and scale up sustainable water services for domestic and productive uses. While blessed with relatively abundant renewable water resources and despite significant investment since the 1990s, 56% of Tanzania’s rural population still lacks access to potable water services. Challenges include weak sector governance, lack of strategies to deal with hydrologic variability, and low management and financial capacity leading to poor sustainability of systems. Tanzania’s predominantly agriculture-based economy is also highly vulnerable to poor governance of water resources under current and projected future climate scenarios. Nearly one-third of Tanzania’s 45 million people live on less than one dollar per day and 42% of children under five years old suffer from malnutrition and stunting. A gravity system provides water to a Maasai community living in Morogoro Region, Tanzania. Before the scheme was built, these women traveled for four hours to reach a distant mountain spring. Now, that same clean water is brought to their doorsteps where they use it for the household and market gardening. A nearby rope pump provides water for this man's poultry operation. Just providing more water for the chickens has helped him to quadruple his production. iWASH Tanzania demonstrates the Tulip Water filter to the Minister of Water at World Water Week in Arusha, Tanzania in 2012. The filter is promoted in rural communities to ensure the provision of safe water for drinking. Improved dairy goats are another activity supported by Heifer International. With more water available, families are able to raise more lucrative breeds of livestock, which often need more specialized care. A drip irrigation demonstration site shows farmers how these low-cost kits are set-up and maintained. Supporting poultry production has been proven to be a very effective way to improve incomes in iWASH projects in Morogoro. The provision of more water enables households to support more lucrative breeds of chicken - allowing them to produce more meat and eggs for market and personal consumption. Private entrepreneurs attend a training for the manufacturing of rope pumps. Improved breeders are promoted by Heifer International as a way to reduce chick-mortality rates by protecting chicks from predators and allowing them to keep each other warm throughout the night. They are produced and sold by local manufacturers. Check out how they're built in the linked video. 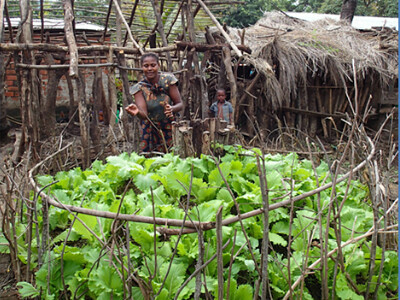 Sack gardens are one way to re-use household waste water that can also improve household nutrition and generate income. Winrock partnered with Heifer International Tanzania to provide technical training and improved breeds to small-scale farmers. Above, pigs wander around their clean and well built corral, which means they'll grow up larger and healthier than before -putting more profit in their owners pocket. 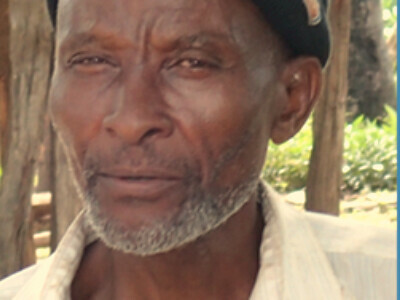 Peter Mbuya was supported by Heifer International through improved poultry production. He used money from his profitable poultry business to also invest in a dairy cow, a private water point, and a cattle trough. Learn more about his story by clicking this link. Tackle the root causes of poverty in rural areas by linking demand-driven Multiple-Use Water Services with impact-boosting health and livelihoods programs. Strategic collaborations with local partner organizations accelerate expansion of water services for clients’ domestic and productive needs. 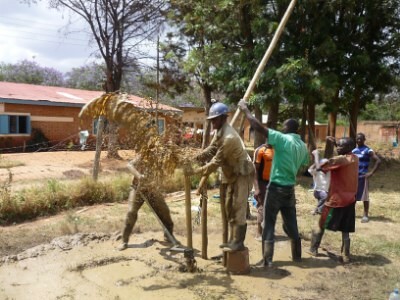 Communities are involved in selecting from a range of cost-effective infrastructure options and interventions focus on sustainability of services, centering on strengthening community governance and providing technical and business training to local private sector entrepreneurs who can provide water-related products and services on a continuing basis. Quality control and certification is provided to small-scale drillers and manufacturers of pumps, filters, and other technologies. Innovative financing mechanisms are put in place to help start and scale-up water-related businesses. Domestic water services are complemented with hygiene behavior change programs and household water treatment. With local partners, Heifer International and the Tanzanian Horticulture Association, the iWASH program is also undertaking a suite of integrated livelihood support activities, including inputs, technical capacity, irrigation technology, and market linkages for home and commercial gardens as well as livestock husbandry. Lastly, through Florida International University (FIU), the program is engaged in water resources management through targeted water sources protection and environmental flows research. Communities work to carry out targeted water source protection by raising awareness around latrine sitting and water point maintenance. Community-managed Multiple-Use Water Services require sufficient time and resources to create lasting community changes in attitudes, knowledge and practices needed for sustainable water service management and integrated benefits. MUS has a favorable cost/benefit ratio, but may require higher initial capital/infrastructure investment than single-use water services. Benefits of MUS can lead to increased community commitment to environmental sustainability of water sources and watersheds. Livelihood activities require careful planning to avoid unintended consequences and mitigate adverse market, environmental and production risks. Our team in Tanzania has been hard at work promoting SolutionMUS to local communities and the general public. View some of their “how-to” and promotional clips below. How to Setup and Maintain a Drip Irrigation System.